Notice how both endpoints are bound to the website. This results in the website in IIS having bindings set up for both port numbers. However, you can remove the binding, the port will now be free for you to use for whatever you want. The interesting thing is that once un-bound, you can set the protocol to TCP. This allows you to provision a second site (or application) on an alternative port number on the same box. You would just need to unpack your application and copy it somewhere using a startup task. It is now possible to backup and restore your SQL Azure database using the BACPAC format, from inside the Azure Management Portal. 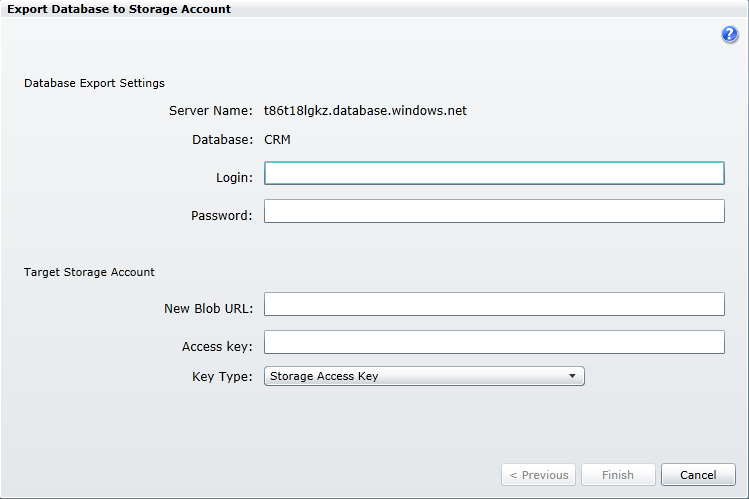 The portal allows you to select a database and export it to a blob. Restoring is a mater of choosing which blob should restore to which database. Backups do not have transactional consistency, so it may be best to back up a copy of your live database. 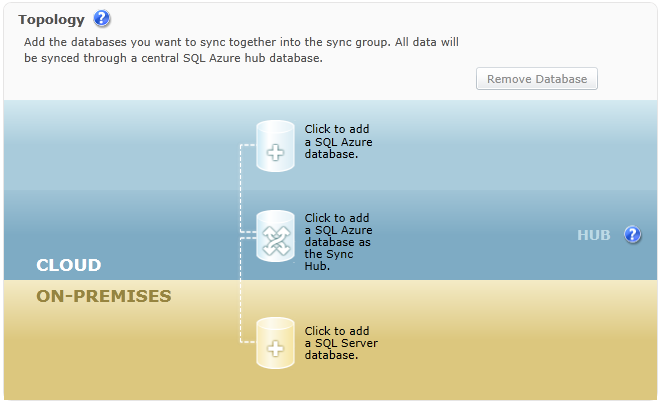 I quite like the user interface of the Data Sync feature in Azure (currently CTP). Very visual, and easy to see what’s going on. It’s standard, well tested code doing the balancing. There are a number of load balancing strategies available. Client affinity (sticky sessions) is an option. The ARR Role will have ARR and the Web Farm Framework installed, and expose a public facing endpoint. It will be responsible for routing traffic to the Web Role instances. The Web Role will have an internal endpoint, but is otherwise unchanged. Create a Web Role project in your solution, copy the MSI files you downloaded into the solution, and set them to ‘copy if newer’. This will ensure they are packaged up with your application. In your service definition file, set your role to run elevated (see how here). You then need to create a web farm, and add the redirection rule to point incoming requests to your farm. The web farm in this case is configured to use client affinity (sticky sessions). These tasks need only to be run once. You would need additional code to for servers being, removed, and IP address changes. Interesting, I’ll check it out and update. There’s a way to install ARR without using Web platform Installer: http://blogs.iis.net/wonyoo/archive/2011/04/20/how-to-install-application-request-routing-arr-2-5-without-web-platform-installer-webpi.aspx. Also you may want to set your ApplicationPool Idle time to 0 so your applciation pool is always On. Hi Arvin, not something I have tried personally, but it looks useful – thanks for another useful tip! Even stopping the Windows Time service has no effect. It looks like Azure always wants to keep up-to-date. 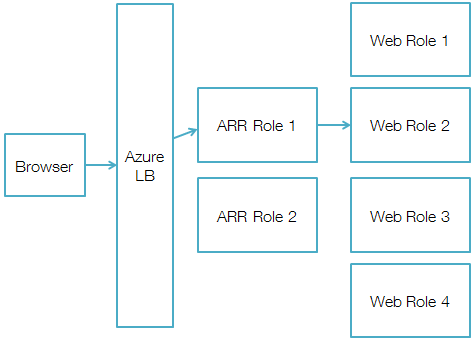 It surprised me to find that the ‘Run’ method on your implementation of ‘RoleEntryPoint’ gets called on Azure Web Roles, in just the same way as Worker Roles. This means that if you have currently have separate web roles and worker roles, you could combine these into a single role. The advantage with this approach is that load will then be spread evenly across all of your instances, and you make better use of the compute time you’ve purchased.